サウリア類の起源および初期進化 - dinopantheons jimdo page! 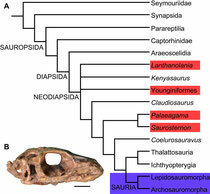 Simplified phylogenetic relationships of Diapsida. 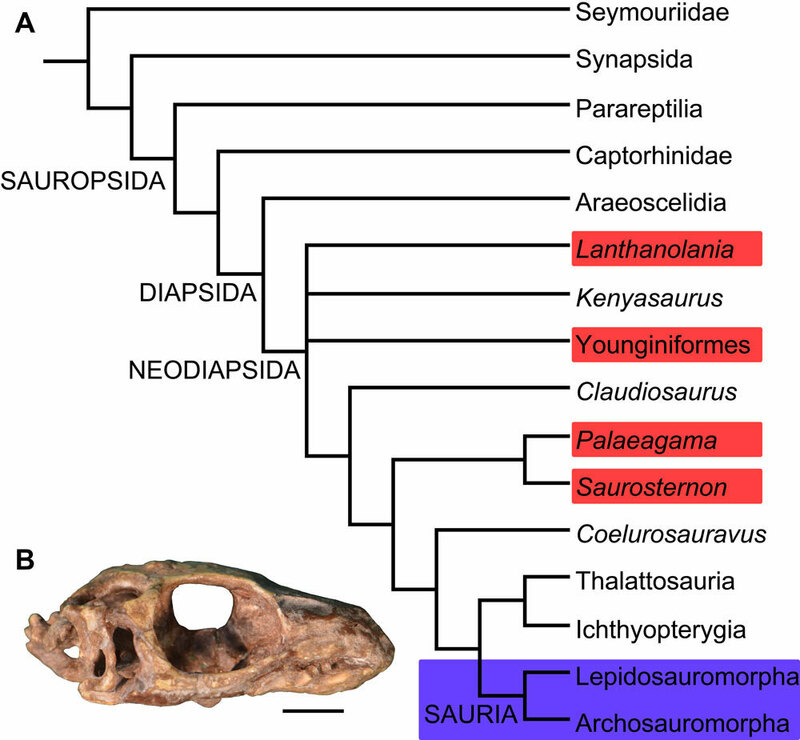 The Origin and Early Evolution of Sauria: Reassessing the Permian Saurian Fossil Record and the Timing of the Crocodile-Lizard Divergence.